Home > Thought Leaders > Blog > Markets > Finance and Banking > Britcoin or Brit-PESA? Remember last year when some Bitcoin chaps apparently used a “freedom of information” request to get hold of Citi’s response to the UK government’s consultation on digital currencies and the like. Apparently, Citi told the government that digital currency is a good idea. The greatest benefits of digital currencies can be realised through the government issuing a digital form of legal tender. This currency would be less expensive, more efficient, and provide greater transparency than current physical legal tender or electronic methods. As I have said on a number of occasions, I simply do not see the efficiency of “a digital form of legal tender” as being evidence that the government might issue a UK cryptocurrency as some in the Bitcoin world have said. First of all, in the UK almost all Sterling is already digital other than the rump 3% or so that is needed for crime and tax evasion so it’s not clear the government needs to issue a digital currency at all (they could just let banks and electronic money issuers do it). Secondly, I don’t think government interest in digital currency means anything for cryptocurrency since digital Sterling wouldn’t be implemented using Bitcoins anyway. And thirdly, legal tender is an irrelevant concept in this context. When I read this report, though, I remember being curious as to whether Citi economists had any input into it. If cash is to be replaced by a digital currency created by the government — rather than by the commercial banks, as it is now — then one might imagine that the economic consequences would be significant. Removing the zero floor on interest rates, for one thing, which is in fact what Citi’s chief economist wrote about in April last year. Willem Buiter, global chief economist at Citi, is arguing in a new research note that central banks should be prepared to set negative rates… A key reason that central banks can’t set rates as low as they would like is cash. The theory is that savers would take all of their money out of banks rather than be charged a negative rate. What to do? Well, one idea is to get rid of cash and move to digital payments. My own recommendation is for central banks to consider offering digital money services (possibly even a cryptocurrency) at the retail and wholesale level. There is no reason why, in principle, a central bank could not offer online accounts… These accounts would obviously not have to be insured. They would provide firms with a safe place to manage their cash without resorting to the banking or shadow banking sector. They would give monetary policy an additional instrument—the ability to pay interest on low-denomination money (possibly at a negative rate). To the extent paper money is displaced, there would be large cost savings as well. Now, I have to say that I am extremely sympathetic with this point of view. I rather think that the creation of money should be under government control and there are many reasons for thinking that allowing commercial banks to create money does not always lead to the best possible outcomes for society. But should central bank money be the only money? Probably not, and I’m also sympathetic to the view that David (and other eminent thinkers in the field) puts forward, that having competing currency substitutes would serve to act as a bound on government policy options. It’s hard (for me) to see what the downsides are in having a central bank supply digital money. Critics might argue that it leaves people exposed to potentially poor monetary policy. This may be true and, for these people, currency substitutes should be available (including Bitcoin). If people want to use Bitcoin, let them. If people want to use cowrie shells, let them. The only thing that they would legally compelled to use Sterling for would be the payment of taxes. But how should this Sterling be implemented? In terms of payments, critics might argue that central bank accounts will be permissioned accounts, requiring the release of personal information, application efforts, that KYC restrictions will apply (so not censorship resistant) and so on. To address these concerns, a central bank could go one step further and issue a cryptocurrency (Fedcoin) offered at a fixed exchange rate where payments are cleared using a Bitcoin-inspired anonymous communal consensus algorithm. This is where I disagree with David. New thinking is needed here, new thinking about the relationship between identity and money. Let’s unpick the three issues he touches on in the paragraph above. KYC and Permission. Clearly anything that is intended to replace physical cash must be inclusive. That means that there cannot be any KYC, nor any other conventional form of account application process. Personally, I do not see this as a negative. On the whole, I think that society benefits more from having all transactions electronic than it loses from affording a very limited form of economic anonymity for very limited transaction values. You might, for example, allow people to open digital payment accounts at the Bank of England and store amounts up to £1,000 with no identification at all, perhaps requiring only a mobile phone number or a postal address to activate the account. I see this as being a bit like getting a Gmail account! I log into the Bank of England, create a new account in the name of “DaveBirch” and get a message telling me that that account already exists so I choose “DGWBirch” instead. Then, anyone can pay me through the national digital payment system by sending money to £dgwbirch. I’d also get another account as “Lord Tantamount Horseposture” that I could use for gambling or buying drugs whatever else it is that people do with cash. If I want the account balance to exceed £1,000 then I would have to provide some other form of valid and acceptable identification, such as a Facebook account, and if I want the account balance to exceed £10,000 (the suspicious transaction reporting limit) then I would have to present a passport or something. The point is that everyone should be able to get an account. These accounts could pay interest and the interest could be negative. I can easily imagine economic circumstances leading to a tiered system whereby accounts below £10,000 pay 0.5% interest and accounts above £10,000 pay -0.5% interest. Why? Because you want people with surplus money to invest it in productive enterprise but you want to help the poor at the same time. Censorship resistance. Neither the central bank nor society as a whole wants censorship resistance when it comes to value transfer and I cannot see any reason why this would be implemented. I can certainly see the argument in favour of pseudonymity, which is why I would be allowed to have an account in the name of Lord Tantamount Horseposture, but of course that account would be linked to my mobile phone number or my Apple ID or my LinkedIn account or whatever, so that if I were to use that account to fund terrorism or evade tax then the authorities would be able to obtain a warrant and uncover that link. This is what I have previously referred to as a “smash the glass” form of conditional anonymity. So, I might make a bet with someone who doesn’t know who £horseposture actually is, but if that bet turns out to be linked with suspicious activity and a far-Eastern betting syndicate, then the police could easily get hold of me. Cryptocurrency. 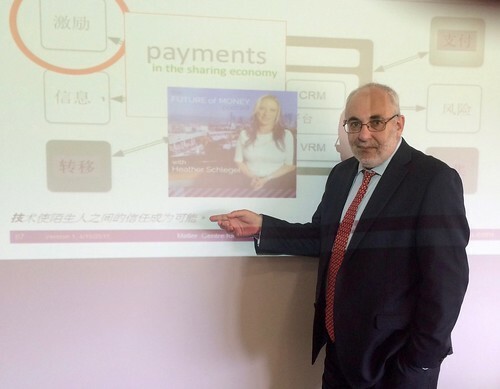 Given that I am obviously in favour of such an account-based system, which would have absolutely minimal transaction costs since the transfer of a hundred pounds between £dgwbirch and £horseposture would use absolutely minuscule amounts of resources, and given that I do not see censorship resistance as a requirement, I do not see why cryptocurrency would make sense as a potential implementation. Now, I understand perfectly well that there are arguments in favour: people might for example argue that a single point of failure for this important national resource would mitigate in favour of a replicated distributed shared ledger to defend against cyberattack or (as is traditional in the UK) government incompetence in the procurement and operation of large-scale computer and communication systems. I am open to evidence on this matter, but my first thought is that the cost of maintaining consensus for a system replacing cash on this scale far outweighs the cost of moving from “five nines” availability to 100% availability. Note also that if censorship resistance is going to be implemented using a cryptocurrency (e.g., Bitcoin) then I simply cannot imagine a scenario where central banks would allow proof-of-work mining to be controlled by anonymous, largely Far Eastern mining pools. So: imagine something like M-PESA but run by the Bank of England. Everyone has an account and you can transfer money from one account to another by a mobile phone app (that uses the secure TEE in modern mobile phones) or by logging in with two factor authentication to any one of a number of service providers that use the Bank of England API to access the accounts or by phoning a voice recognition and authentication service. Drawing on our experiences from M-PESA, TAP and other population-scale mobile-centric system that we have advised on, I think that this API might actually the most important single thing that a Brit-PESA might deliver to the British economy. In addition to the obvious benefits to trade and industry, and in addition to the obvious benefits to law enforcement, it would mean that the Bank of England would have a real-time dashboard of economic activity that could be added to the real-time retail payment dashboards of the banks (I’m joking of course: they don’t actually have these) so that when the Chancellor of the Exchequer gets up in the morning he can see exactly what consumer spending was the day before. Exactly. So, Brit-PESA is not only a means to obtain the cost-effective efficiency that Citi referred to but it ought to be a great improvement in helping to manage the economy. Hi Dave, as always interesting thinking. 1. I can’t see any other than the central bank being responsible for the monetary policy. But is that the real question here? If the BritCoin or Brit-PESA is linked to the real sterling with a fixed 1:1 exchange rate the creation of money will automatically be with the central bank – like today. 2. Reading your argumentation for Brit-PESA it reads like that the only advantages of a cryptocurrency is lower costs at lower volume/scale. But if volume/scale is big enough, an account-based model (with a standard ledger model) like for Brit-PESA is in the end cheaper. Though if the Brit-PESA accound model is developed and operated by the central bank, will we see the necessary innovation driven by competition (as there is no competition)? Or do you believe a PSD2/XS2A regulation is sufficient to create innovation on the “frontend” layer? It’s what economists call “the big problem of small change”. It’s not clear that competition in the provision of the retail digital currency makes sense – perhaps it is a public good. Consensus is only an issue of you don’t have a permissioned chain. If you do have a permissioned chain. Consensus is not an issue, nor is it expensive. It’s simply a way to make databases REALLY GOOD at replication. VS today, where they are REALLY BAD. REALLY GOOD > REALLY BAD. I think there are other example where not everyone who is permissioned to write to a chain takes part in the consensus-forming process. That’s why we distinguish between permission and double-permissioned shared ledgers in our business modelling work with clients. But yes, I agree with your conclusion: entries in a replicated shared ledger provide a more robust infrastructure. Great article! Who would be able to lend against this gov crypto money? In most cases of “e-money” is ultimately stored in a (custodial) licensed bank account. I believe the banks can use that as capital to make loans. Wouldn’t this essentially take the money out of the system, assuming people would tend to keep more money in the accounts than they keep in cash now?? I’m pretty sure that banks have to keep e-money balances in Tier 1 capital (government bonds, basically). Can a lawyer help? Also curious about your thought on Interledger (ILP) like protocols that allow end to end txn spanning multiple ledger. Seems like the world will continue to have many ledgers in the future and that, for lack of a better word, “atomic txn” that are not refutable across them is huge.